307-309 New Park is a two-unit building in an overlooked part of Hartford within sight of the West Hartford line. 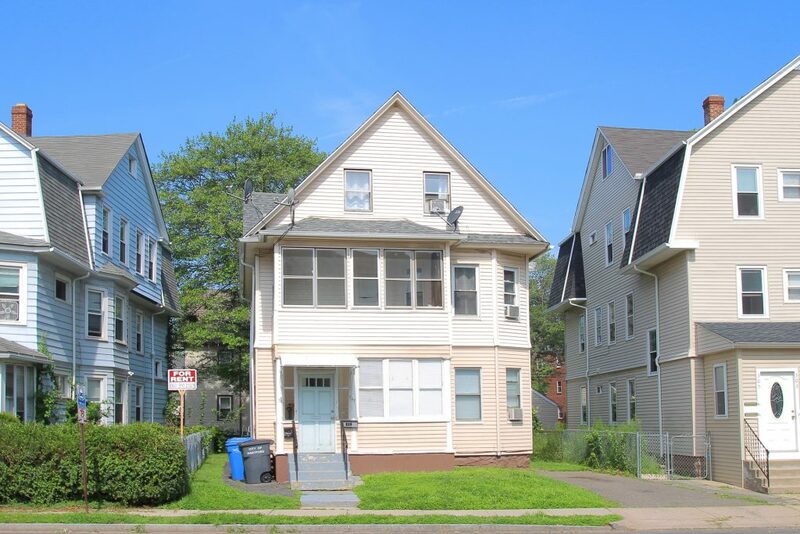 It is a short walk to the grocery store and Kane Street Fastrak station, providing easy public transportation to Downtown Hartford, New Britain, and all the stops in between. The convenient location is also close to the interstate and the local CTTransit buses stop. The first-floor unit is two bedrooms and one bath. The upper unit encompasses both the second and third levels, providing a spacious apartment with 2 bedrooms on the second level and multiple additional rooms on the third level that have flexible uses. It’s being advertised as a four bedroom unit, but there are actually 4 rooms on the top level alone. Both units are in good condition, with recent updates to the upstairs kitchen and downstairs bathroom. Both have laundry in the unit, and include heat in the monthly rent. Both units are currently occupied by tenants with leases. The upstairs tenant is long-term, and the downstairs tenant is related to the upstairs tenant. The building has a newer roof and newer gas furnace. Aluminum siding means you won’t have to repaint as part of the regular maintenance. There is a small fenced yard out back, and a driveway that can fit two cars. Overnight on-street parking is allowed, and there is not much competition for the spaces. Don’t miss this turn-key investment opportunity that makes landlording easy! 307-309 New Park Avenue is offered at $214,900. If you’d like to see this home, please have your agent arrange a showing or call Kyle at 860-655-2922 to schedule a visit. More details are available.